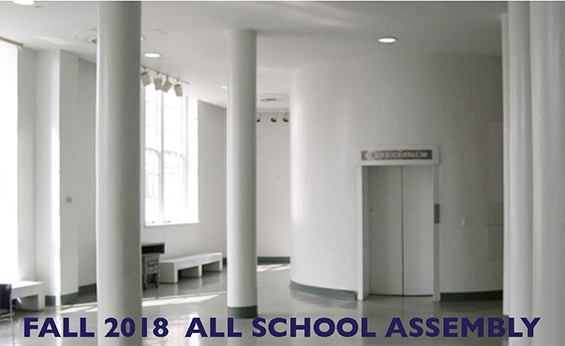 To welcome new and returning faculty, staff and students and to launch the new academic year, there will be an ALL SCHOOL ASSEMBLY on Tuesday 4 September (the first day of classes) in the School of Architecture Lobby, 3rd Floor of the Foundation Building beginning at 1 PM. The Fall 2018 Design Studios and elective courses will be introduced. Rustow, Anthony Vidler, Tamar Zinguer.